Now that a 10-lane bridge replacement for the George Massey tunnel is off the table, opposition critics want to know where the B.C. 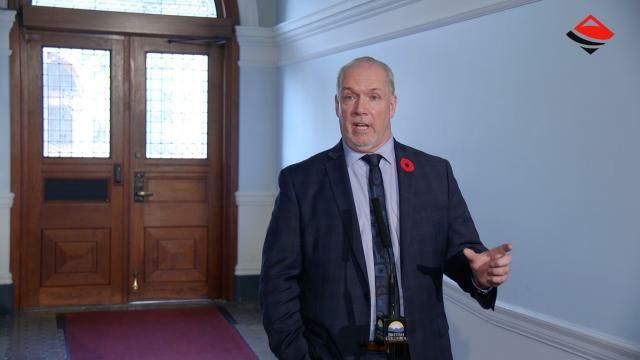 NDP government’s plan to deal with the gridlock and earthquake risk is going. The tunnel under the Fraser River is a main route for the Lower Mainland and Vancouver Island visitors, and Delta South MLA Ian Paton notes that the traffic congestion is getting worse with the return of long, rainy nights. Paton asked Transportation Minister Claire Trevena in the B.C. legislature Tuesday for an update on a “technical review” of options that she announced nearly two months ago. None was forthcoming. Paton said there were 250 meetings and five options presented on the previous government’s plan to build a Port Mann-style crossing over the Fraser River, with the bridge option the clear favourite. “I will remind the minister that the George Massey tunnel is once again the worst bottleneck in this province, and 80,000 people a day are stuck in traffic and rush hour in the tunnel,” Paton said. Premier John Horgan said most Lower Mainland mayors had other priorities than the Massey crossing. The NDP campaigned against the Massey project in the last election, arguing that a replacement for the aging Pattullo bridge is a higher priority. Finance Minister Carole James has confirmed that the budget for the bridge project has been redirected, with $66 million spent by the province on engineering and site work, and another $25 million by B.C. Hydro to reroute power.